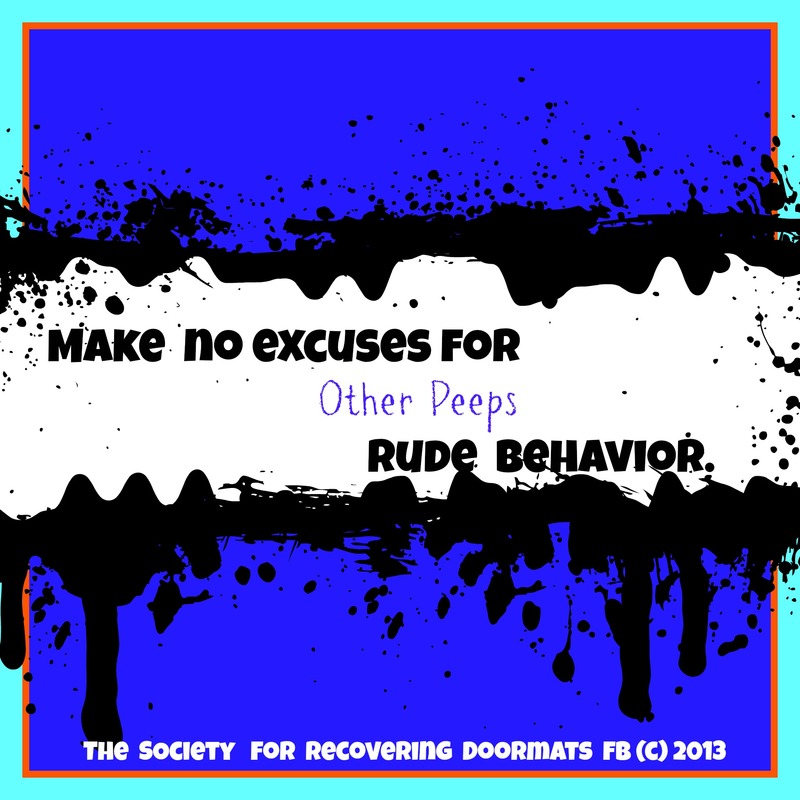 Everyone is responsible for themselves, and it’s not your job to justify other’s bad behavior. If you’re constantly defending someone’s words and deeds then it’s time to reevaluate the relationship. Trust yourself enough to know if you experience someones comments and actions as inconsiderate, rude and offensive that you’re right. Stop putting your head in sand and ignoring your inner truth. It’s time to take the doormat glasses off and see the person through reality lenses. I agree. That’s for them to own. Thank you, Rose.